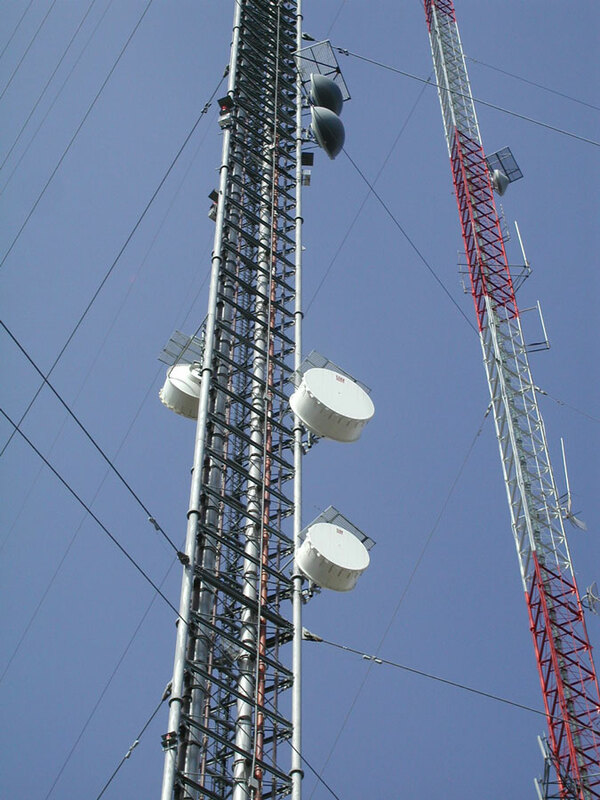 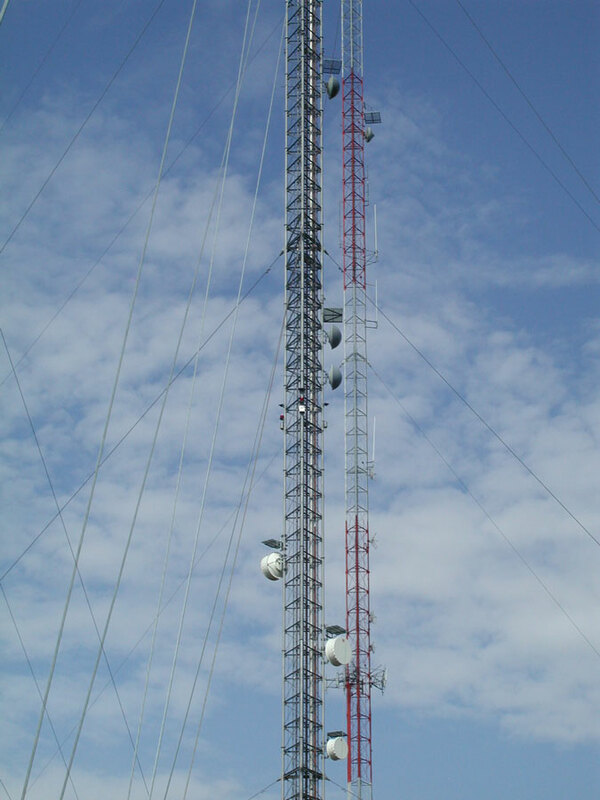 American Towers broadcast masts at 3702 Nansemond Parkway in Suffolk, Virginia. 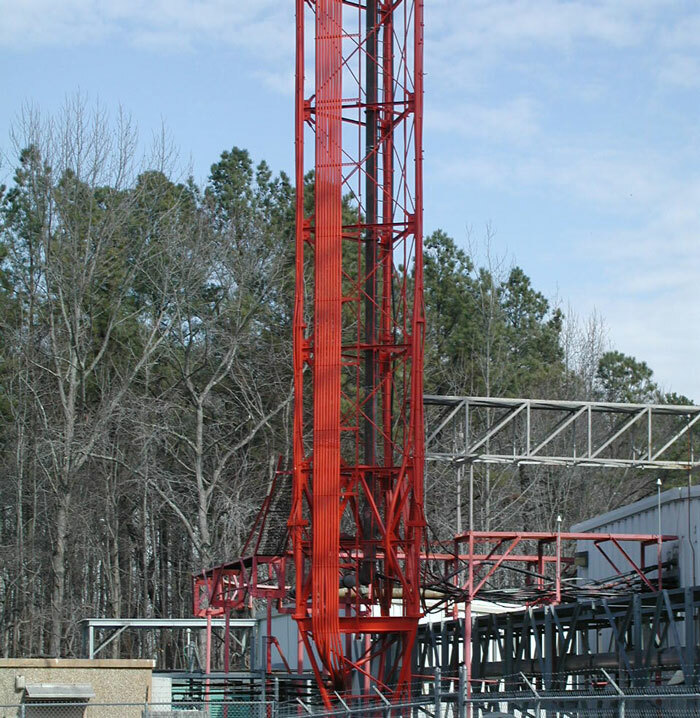 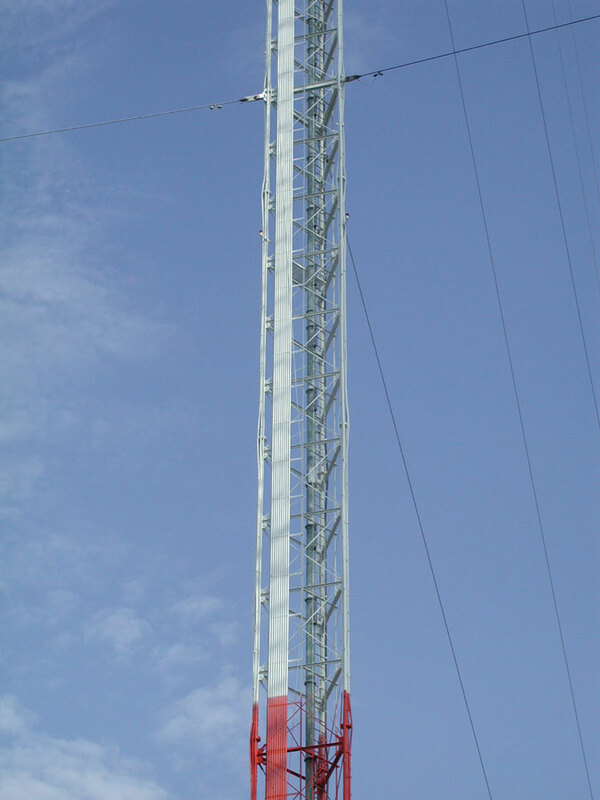 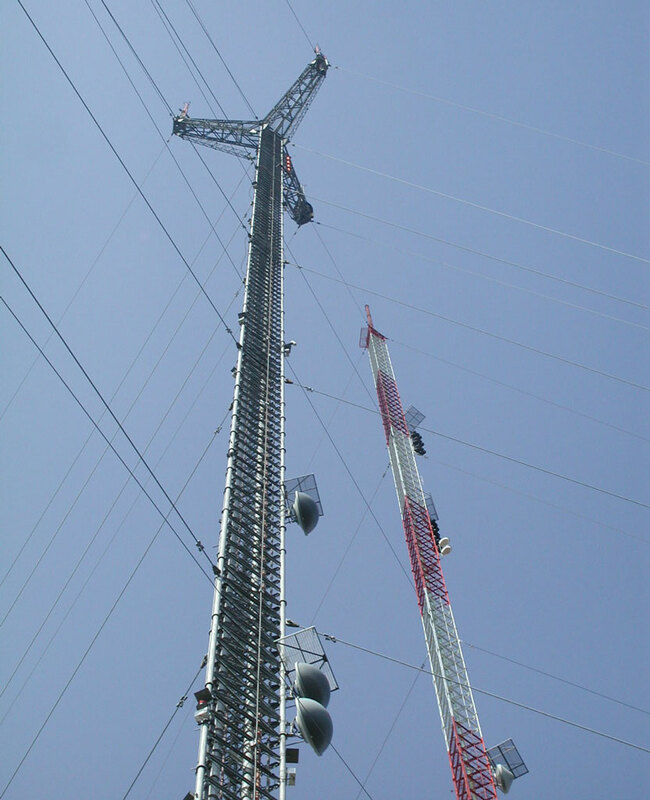 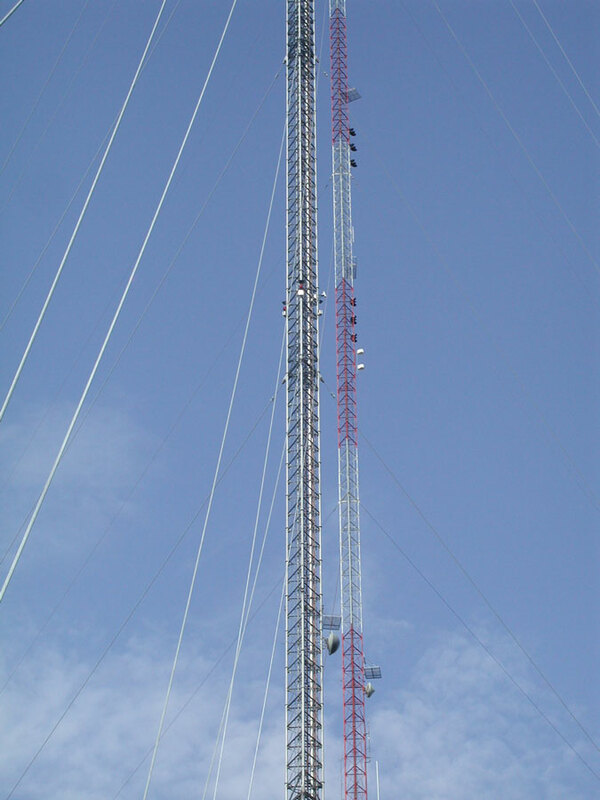 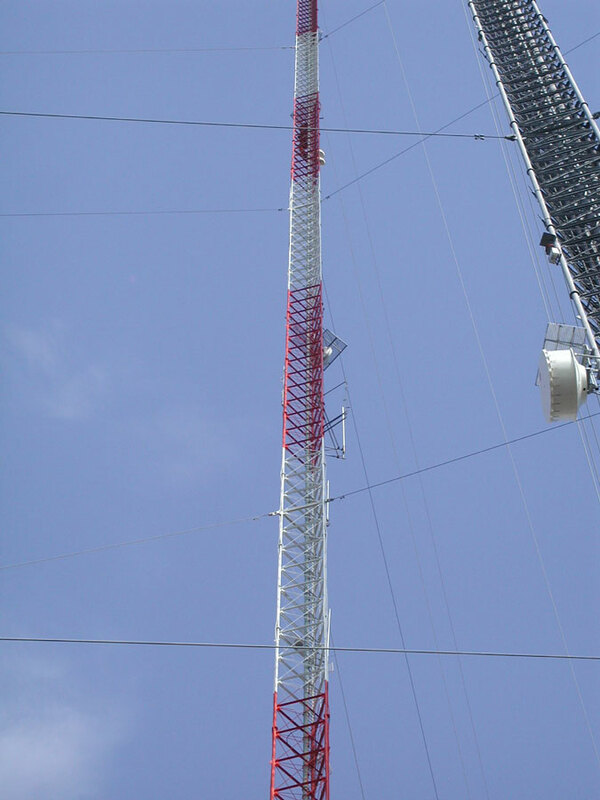 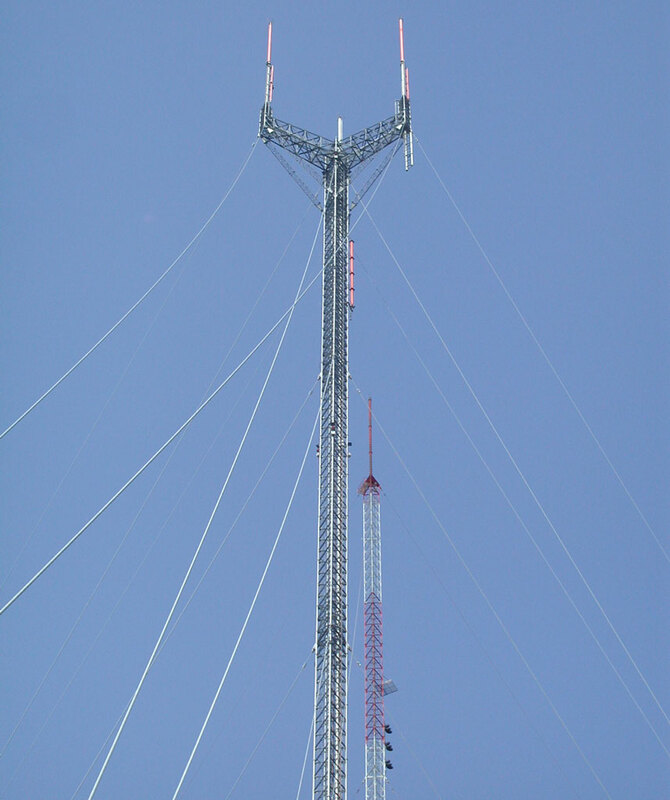 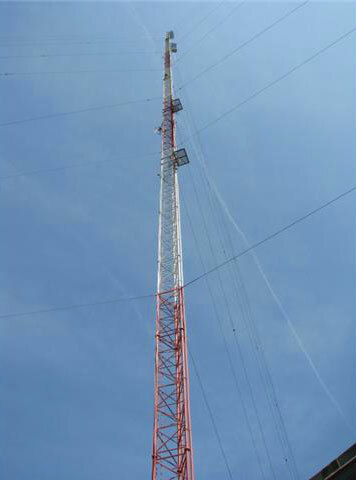 The south tower is the tallest antenna in southeastern Virginia and is used for transmitting signals of WTKR-TV (CBS Ch. 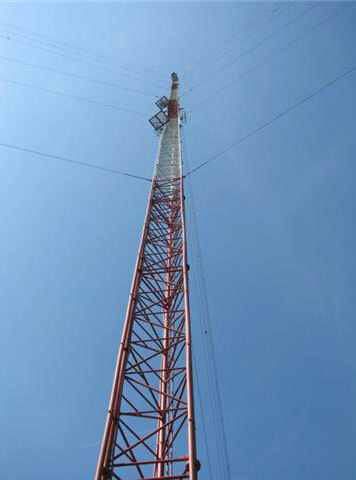 3), WHRO-TV (PBS Ch. 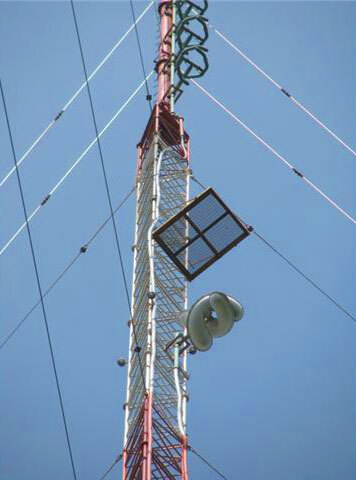 15), WGNT-TV (CW Ch. 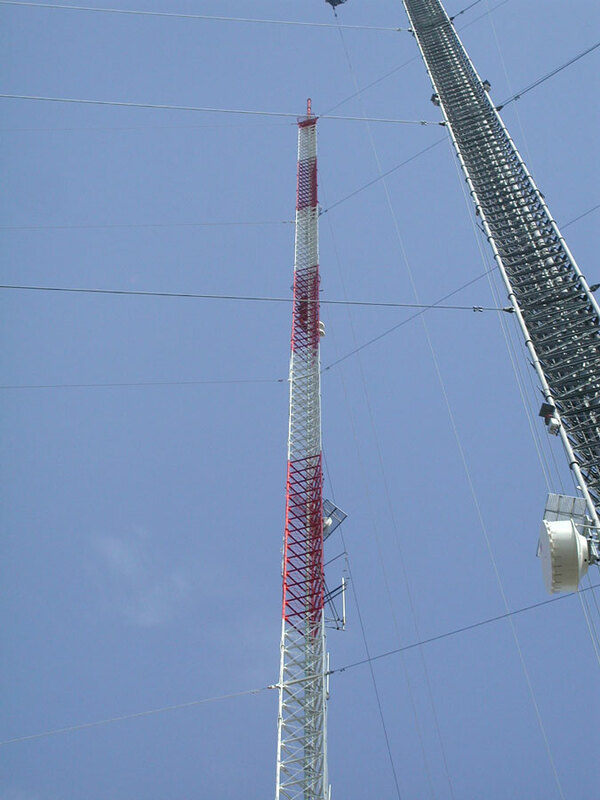 27), WTVZ-TV (MyTV Ch. 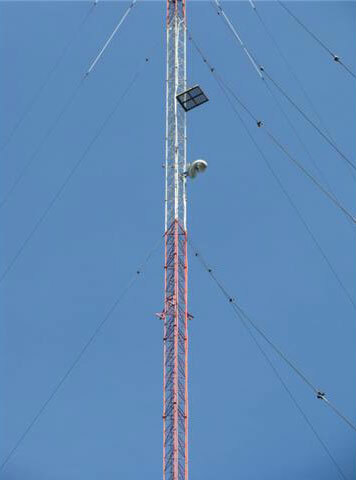 33), WPXV-TV (Ion Ch. 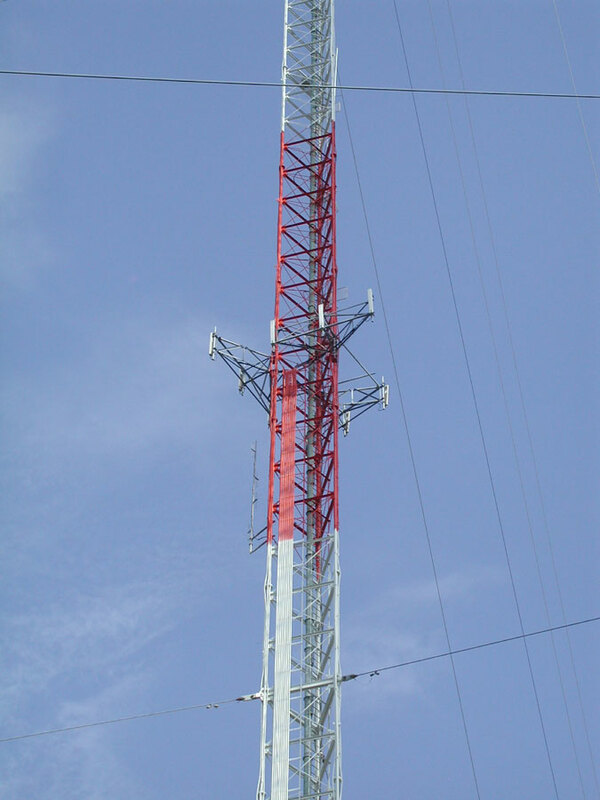 49) and WHRO-FM (90.3 MHz). 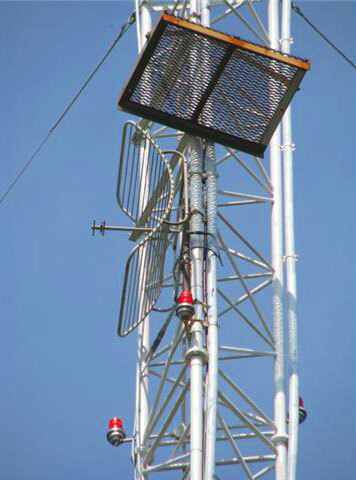 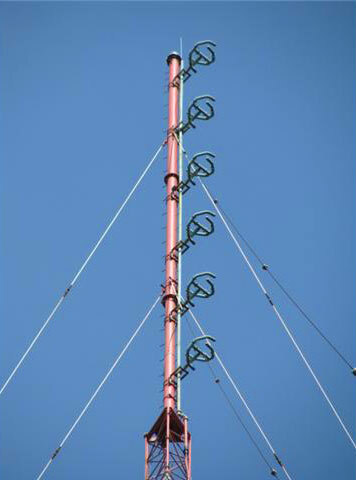 WHRV-FM (89.5 MHz) transmitting antenna is located on the lower tower. 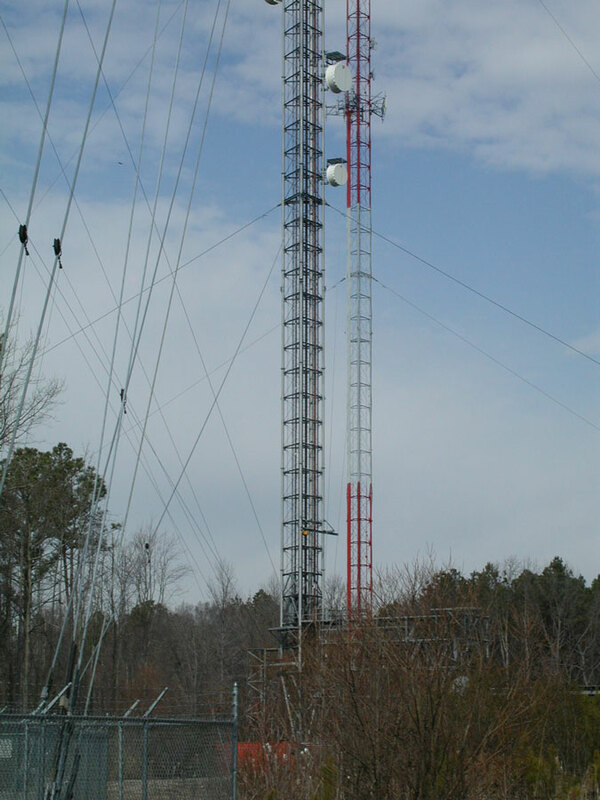 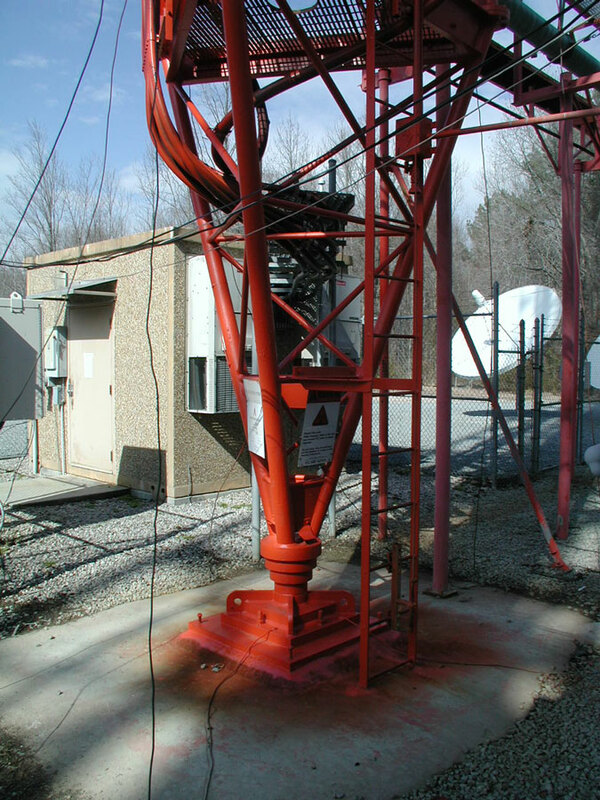 Twin Pines American Towers broadcast mast at 5600 Greenbrook Drive in Portsmouth, Virginia.